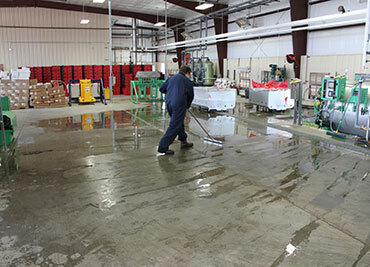 We strive to “Win on Service” knowing that our customers come first!! Providing the Medical Community with environmentally safe, regulated, Healthcare Waste Management disposal services. BioCycle Inc. in partnership with Oncore Technology have form Oncore Healthcare Solutions. 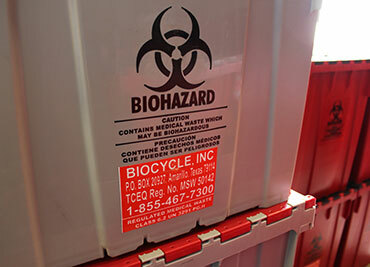 We provide medical waste pickup and disposal services across 13 states. We take care of your waste, so you can take care of your patients. 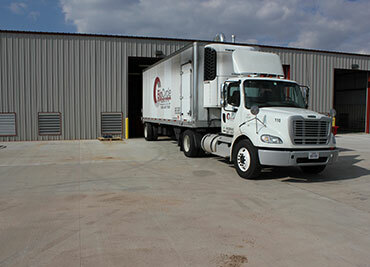 With two treatment facilities we cover the state of Texas better than anyone in the industry. To provide top of the line service to all of our clients, ensure safe, secure, & reliable pickup, treatment and disposal of waste. 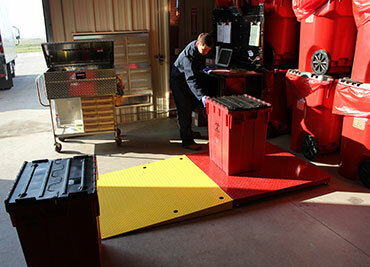 We strive to “Win on Service” knowing that our customers come first in our world. 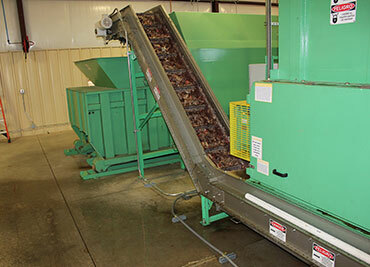 Biocycle Type V Medical Waste Treatment Facility of Amarillo, Texas. 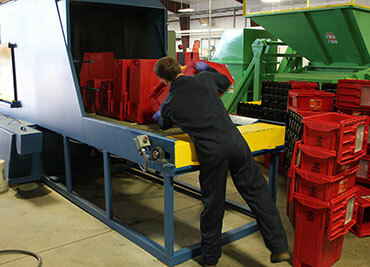 Weighing Process consists of weighing the containers as they are unloaded on a "legal for trade" industrial scale. 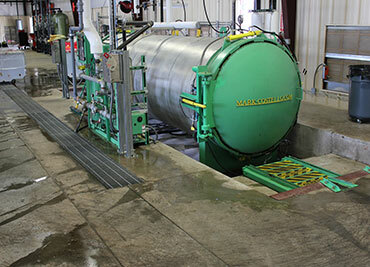 Autoclave Process consists of loading medical waste filled treatment carts into the autoclave. 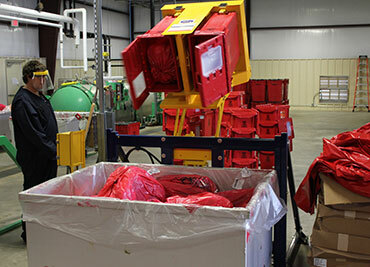 Handling Sterilized Medical Waste after autoclave treatment; consists of dumping the treated medical waste carts into the shredder. 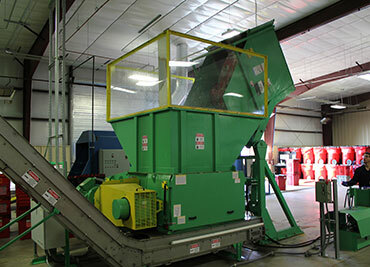 Shredding Medical Waste Process consists of conveying the shredded sterilized waste into the compactor. 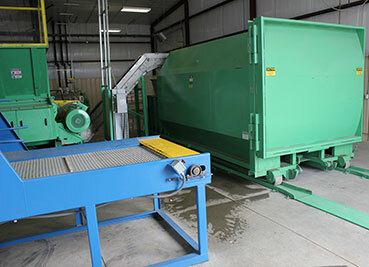 Container Cleaning Process consists of loading containers into an automated high temperature / biodegradable disinfectant spray cleaning system. Container Cleaning Process Completed Cleaned containers are unloaded to dry before re-use. 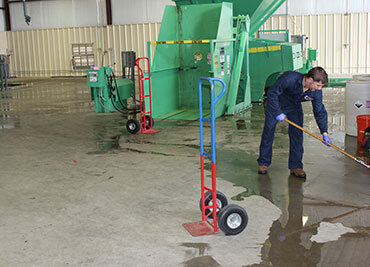 The Facility house-keeping cleaning process consists of washing down the equipment and work areas with bio-degradable disinfectant cleansers. 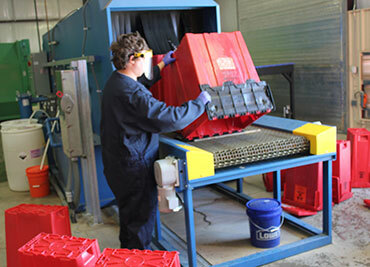 Container Re-use consists of stacking cleaned containers for shipment to customers. © 2018, Biocycle, Inc. All Rights Reserved.